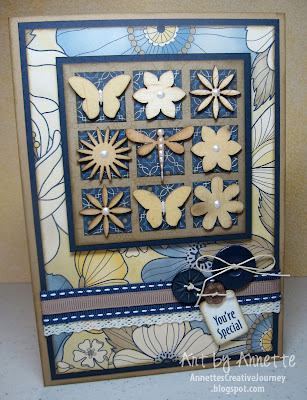 A quick and easy layout, for sure. 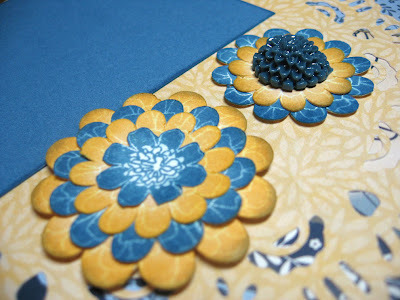 (Be sure to click on it to get a better look at the details) I opted to use Outdoor Denim card stock for the base pages and added two large strips of the pretty Pemberley B&T paper across the center as an anchor point. All of the circles were cut from the Art Philosophy Cricut cartridge. I really like the stamp set that comes in this workshop, along with those Bitty Opaques Pearls, and LOVE the resin flowers in the Bouquet Assortment. 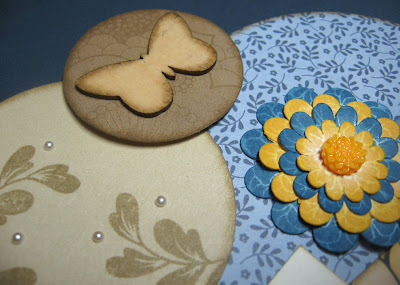 The Color-Ready Garden Wooden Shapes add another bit of texture. I added a few of them here and there to the layout. 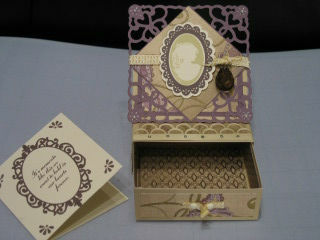 For the Cards & More club, we made two projects with the Pemberly paper pack and one with Lucy. 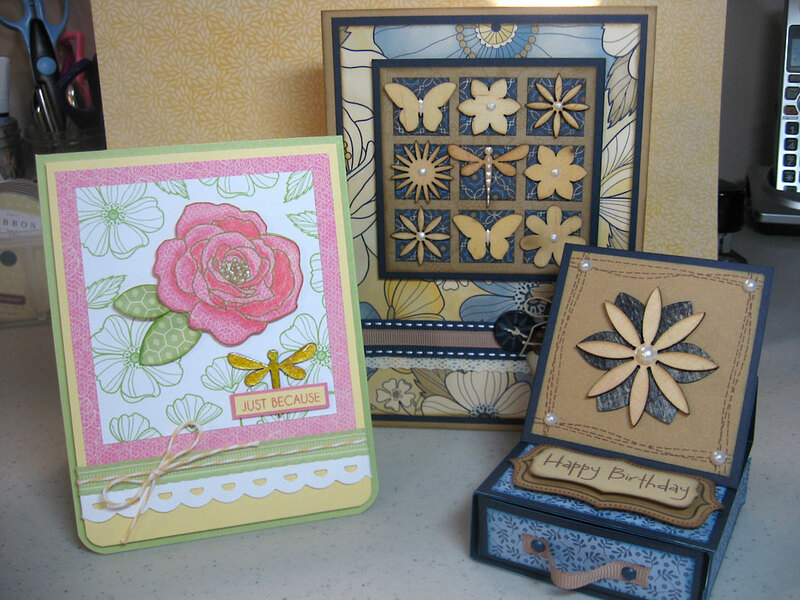 Two cards and a fun little mini-easel box. 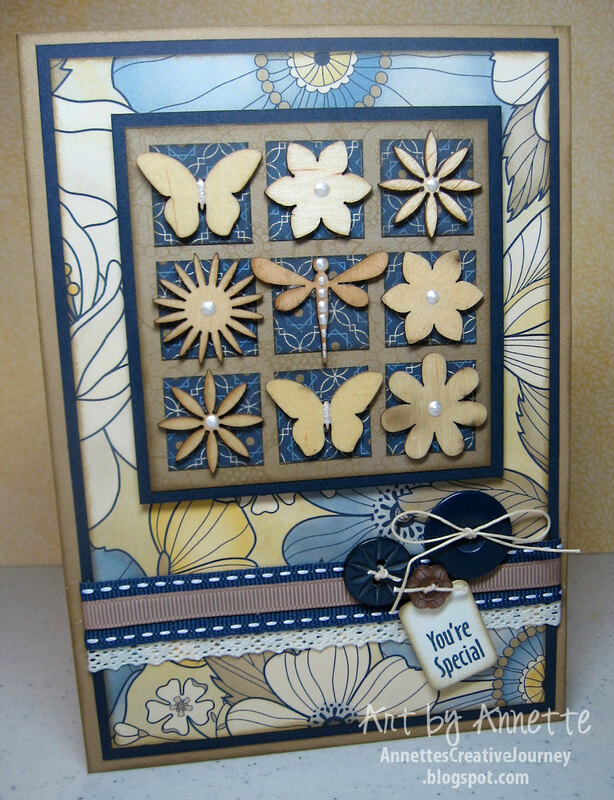 This stamp set called Card Word Puzzle is featured in the CTMH Idea Book on page 23 with the Pemberley papers, but I thought it would work perfectly with Lucy papers too. I am finding this to be one of my favorite stamp sets this season. Those outlined flowers are great for coloring and shading, and also look fantastic on their own. 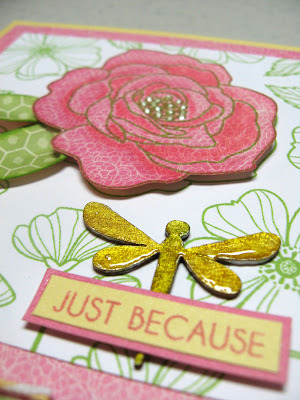 Sometimes I like to stamp right onto B&T paper (pink flower). 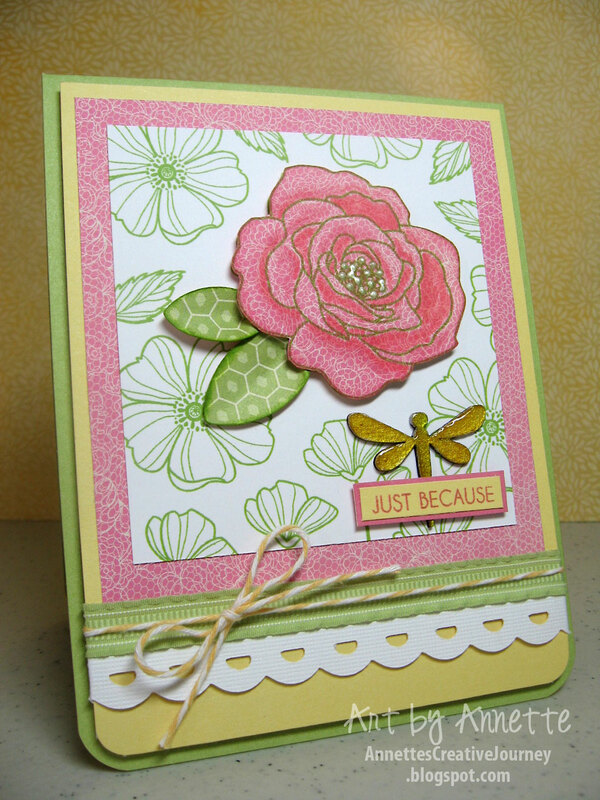 With a blender pen and a Blush stamp pad, I shaded the stamped flower to add dimension. And there's another one of those Garden Wooden Shapes (dragonfly) which I colored by painting some Create-A-Shade Pearl Paint as a base, then colored over the surface with Honey and Pear markers, then added a top coat of Liquid Glass for shine and dimension. 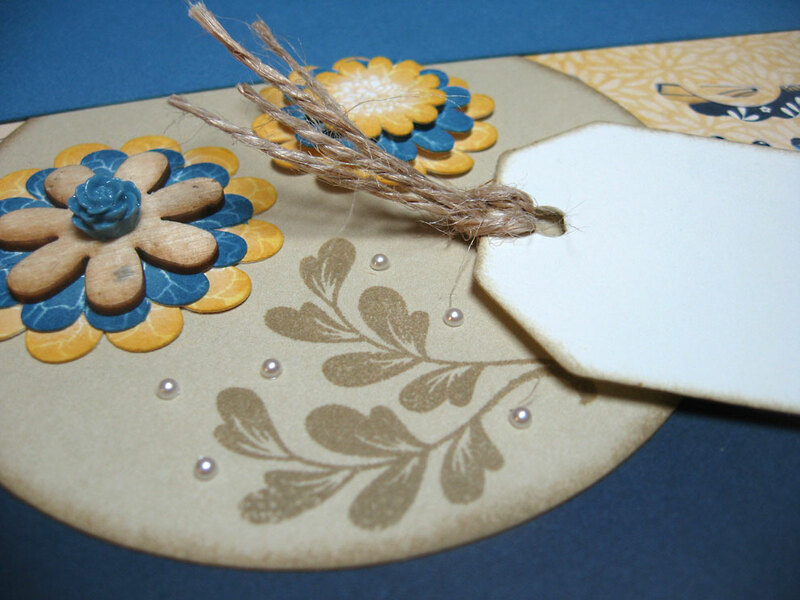 Card 2 is 5 x 7 and really showcases those Garden Wooden Shapes. Here I left them fairly bare and put them into a grid pattern. 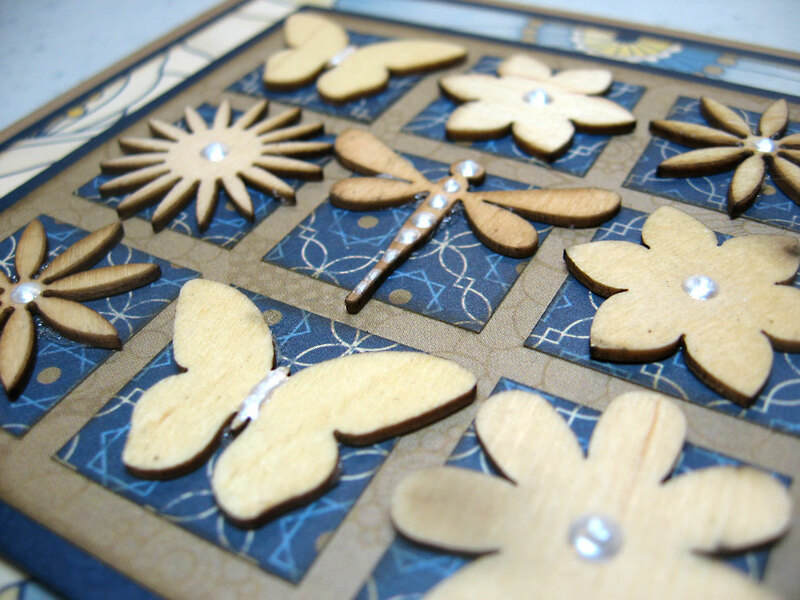 I added just a small touch of Liquid Pearls (Ranger) as an accent over the wooden shapes. 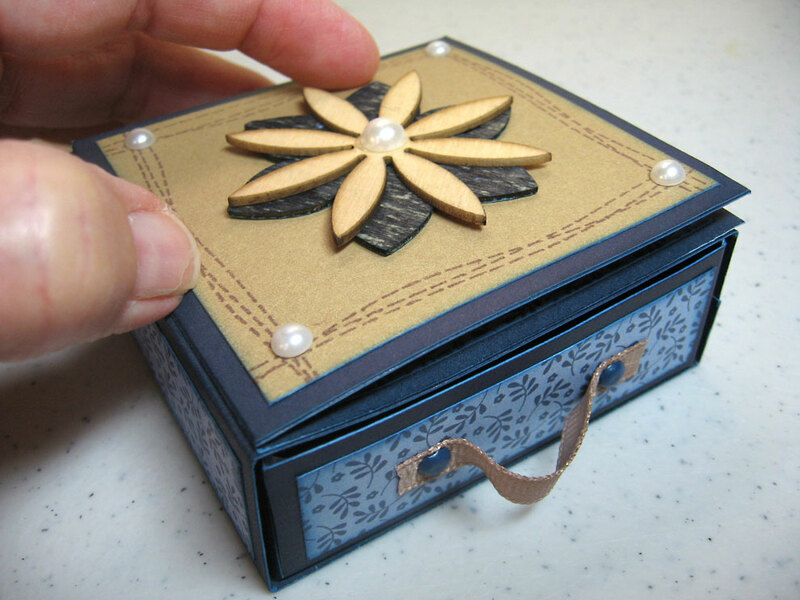 Project 3 was this fun little easel box. 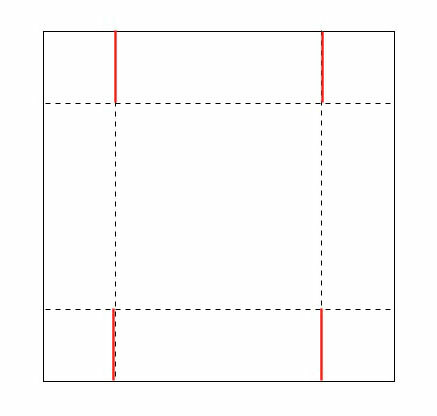 The easel card itself measures a mere 3 x 3 inches to give you an idea of its size. 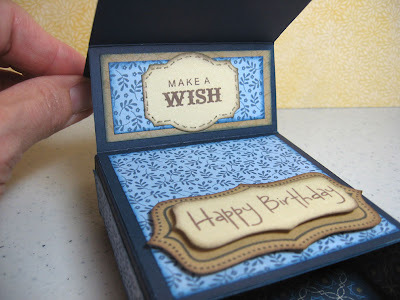 It folds down flat for sending. When you open it up there's a spot for a little message. And the best part is this little drawer to put a small gift inside. 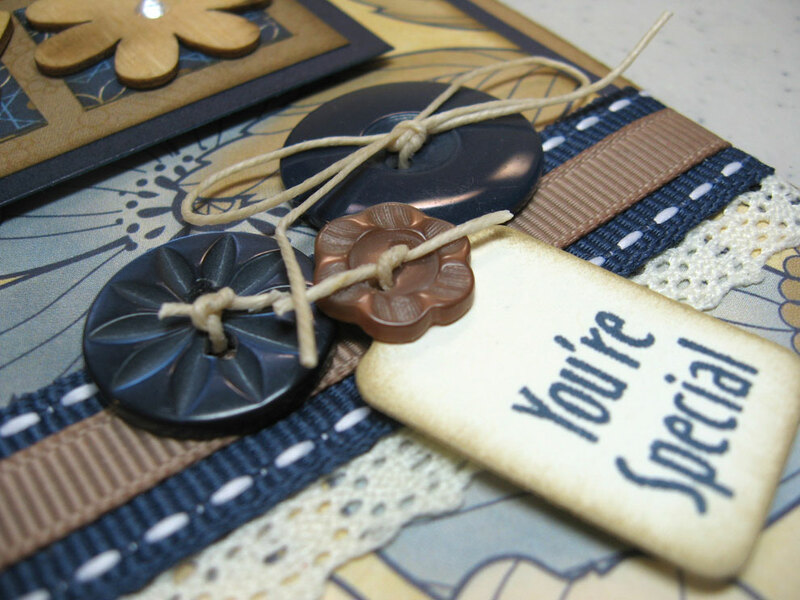 I found this idea online by fellow consultant Cindy Prado. Check out her pretty version below using Sonoma papers. Cindy linked me to another website for the directions, but I made some changes, so I'm listing them below her picture. 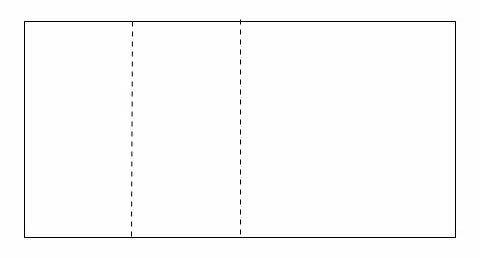 Cut a piece 3 x 6 inches (Outdoor Denim card stock) and score at 1 1/2 and 3 inches. 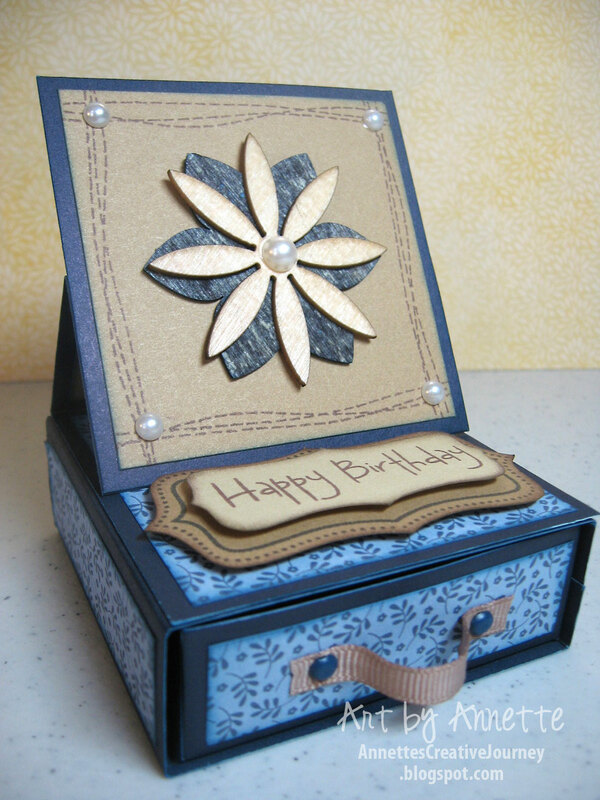 This is the card base. Cut a piece 3 x 8 1/2 (Outdoor Denim card stock) and score at 1, 4, 5 and 8 inches. 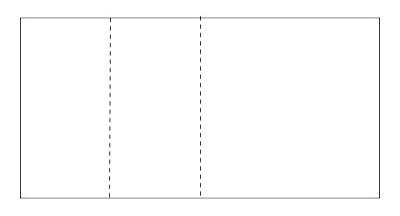 (I've shown it tall here, but you will score with it horizontal in your trimmer or scoreboard.) This is the "sleeve" for the drawer to slide into. 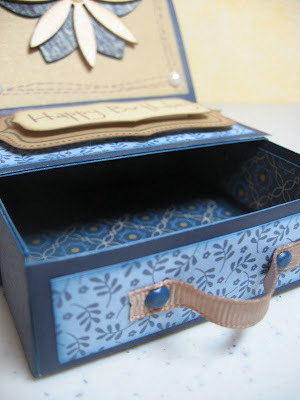 Just fold it on the scores and adhere with sticky tape so it becomes an open box. 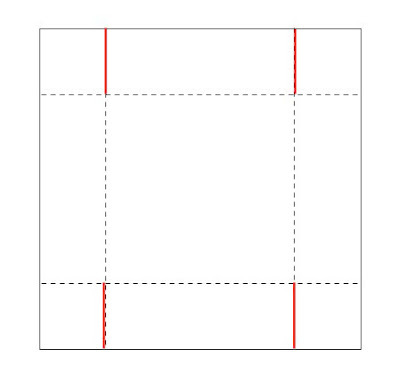 Cut a piece 4 7/8 x 4 7/8 (Outdoor Denim card stock) and score 1 inch all the way around, then make cuts as shown on the red lines. This is the drawer that slides into the box above. One final basic cut is a 3 x 3 inch piece from Outdoor Denim for the face of the card. 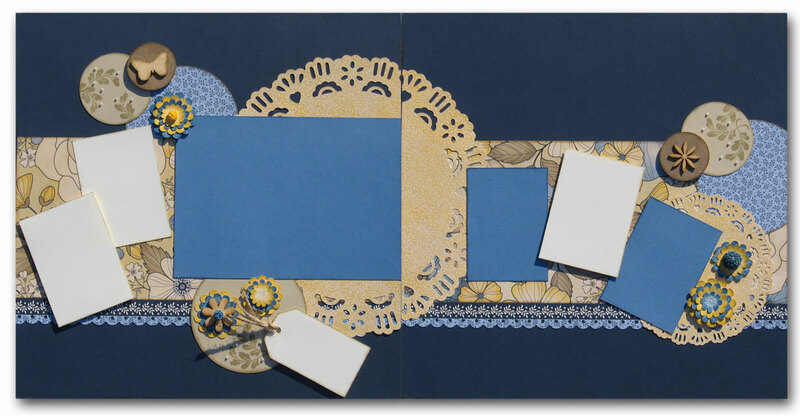 For assembly and added decorative paper cuts, go to Cabio's Craft Corner at this link and follow along. Have fun, and let me know if you have any questions along the way. 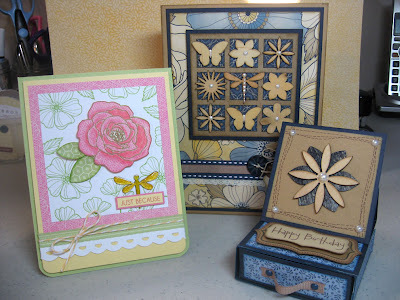 Annette, these are all fabulous! I am so smitten with the card using the wood elements on the grid! Thanks so much for listing the instructions for the easel card box. I'm definitely making more of these !! 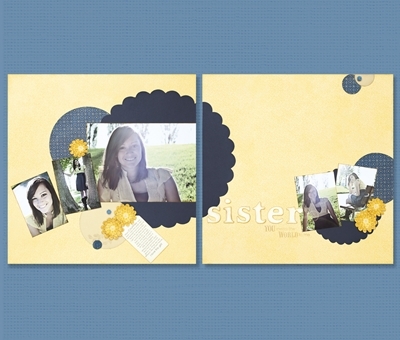 I love your cherish club layouts for Pemberly. 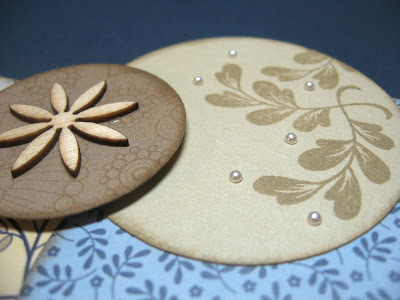 So jealous of your perfect Cricut circles (LOL!). Oh My Goodness! These are INCREDIBLE! I just don't even have words!